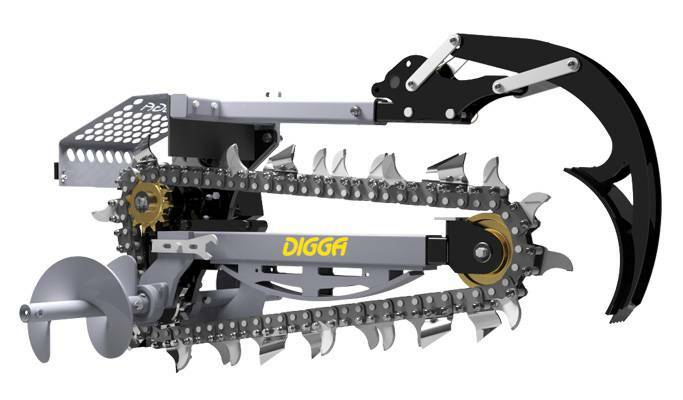 Get ready for some serious trenching with Digga’s Hydrive range of Trenchers. Choose from standard models up to 1200mm digging depth – Ideal for excavators, skid steer loaders, and machines up to 3.5 tonne, or from the bigger XD models with a wider cutting width perfect for excavators, backhoes, and telehandlers up to 8 tonne. A High Visibility Grill lets the operator see what thery are doing regardless of the trencher’s angle, helping them to work faster and safer. For pricing or more information about the Hydrive & Hydrive XD Trenchers fill out the form and we&apos;ll be in touch soon. Alternatively call (08) 9457 1544.